ABAP programmers and SAP professionals can use SPRO transaction to find user exits for billing, user exits for sales, or for shipping, etc. Launch SPRO and switch to Display IMG (Customization Implementation Guide) view. 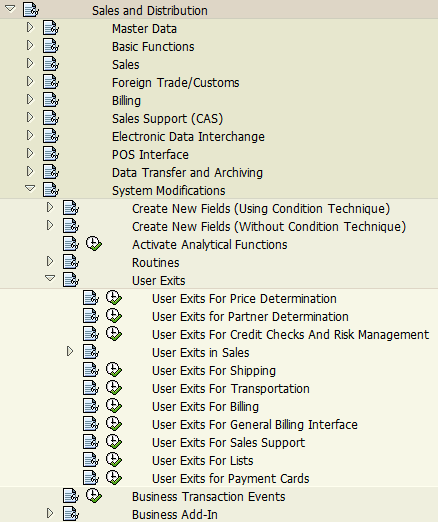 As seen in below screenshot, under System Modifications: User Exits, there are number of options to see available user exits for your ABAP developer to use. 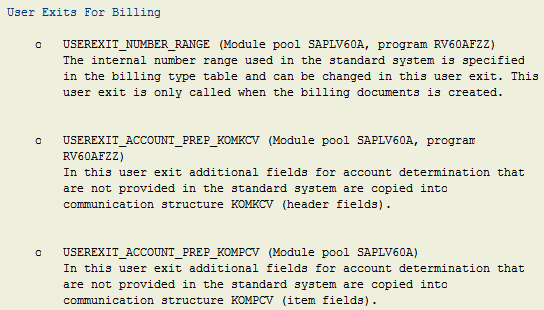 For billing user exits, if you click on the IMG activity documentation a list of user exits for billing is listed with detailed information about why and how to use this user exit in your custom ABAP development tasks.